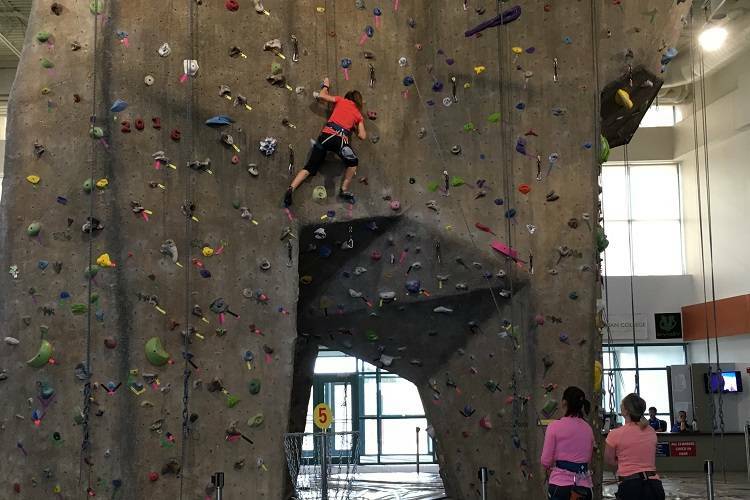 As one of the largest in the west, this indoor climbing wall has 6,000 square feet of climbing surface. The wall features 17 top rope stations, 12 lead climbing lines, 2 roofs, a running crack, and a 600 square foot bouldering cave. Climbing wall routes are present for beginners, intermediate, and advanced climbers. The professional climbing staff at San Juan College will ensure you have a fun and safe time. Please note, climbers under the age of 18 must have a parent or legal guardian with them.